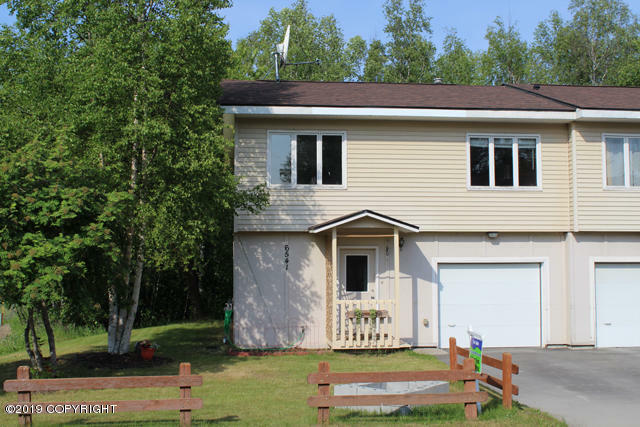 6541 W Compass Drive #20, Wasilla, AK.| MLS# 19-4793 | Mossy Oak Properties | 907-357-5100 | Wasilla AK Homes "For Sale" Alaska Businesses "For Sale"
Townhome style condo end unit with 3BR, master suite on main level, 2BA, and appx 1287 sq ft with an over sized (deep) garage. Newly paved driveway. This is a lot of residence for the money. Ready to move into plus conveniently located to shopping, schools, golf course & more! Listing broker is related to seller.